This is a beautiful vintage jewellery box, dating to the 1960s/1970s. 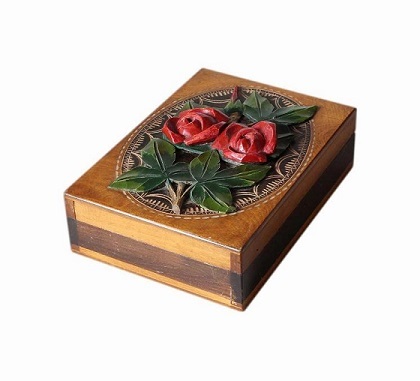 This box is made of a variety of woods, the colours of which contrast beautifully. There is a large oval dark wood panel on the lid with decorative carved detail, seated upon which are two beautiful large 3 dimensional carved Roses. 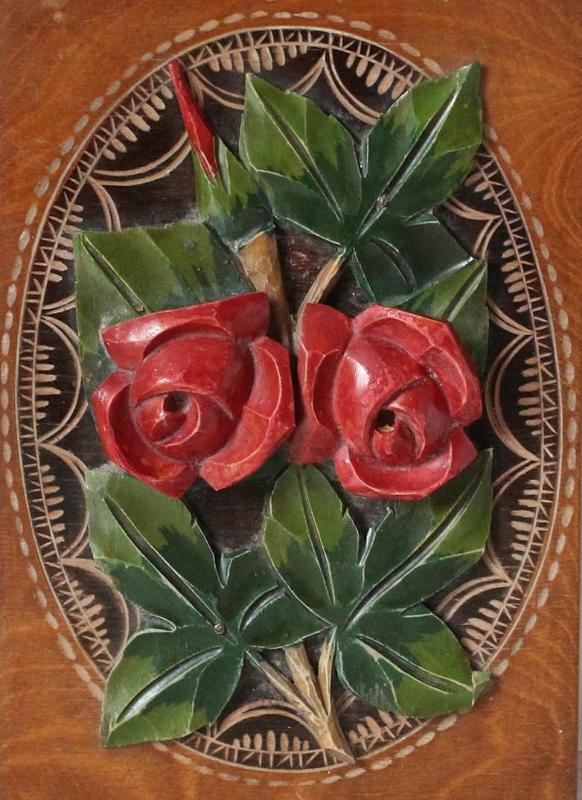 Surrounding the Roses is a lovely carved budding Rose and beautiful carved leaves. The Roses and leaves are hand painted. 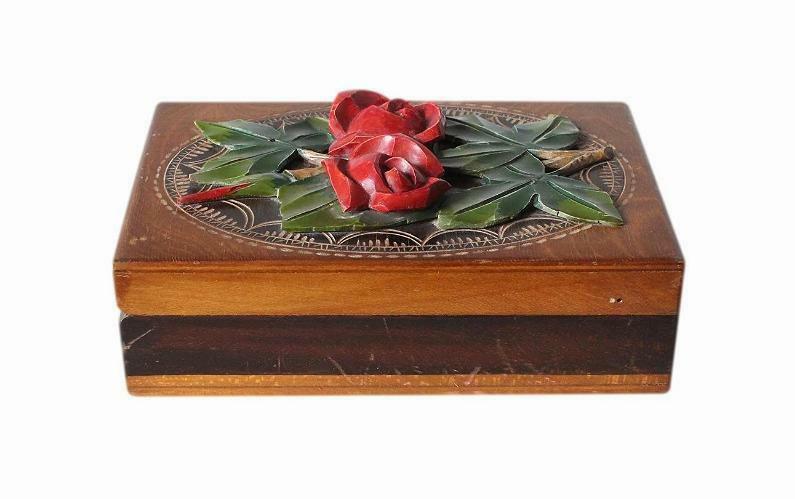 The entire box is handmade/hand carved and has a lovely charm about it. 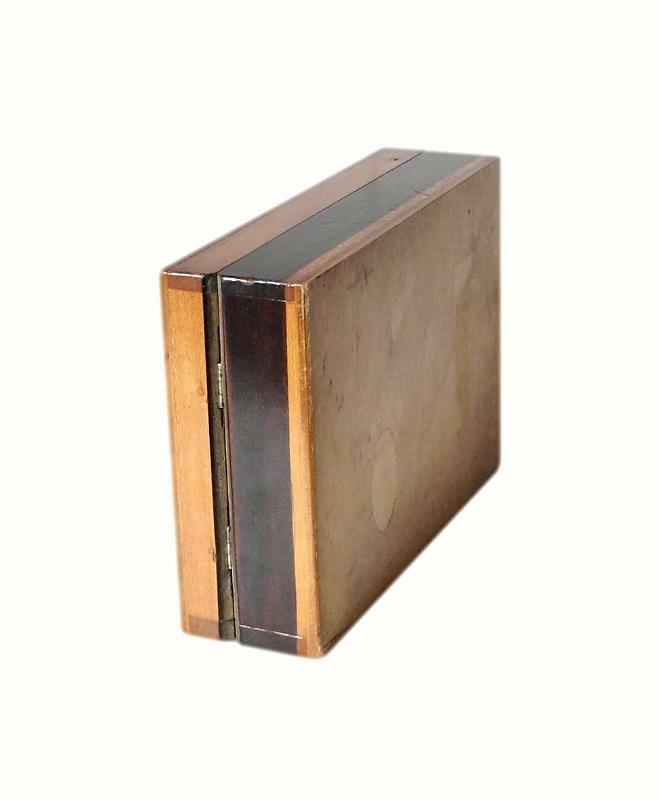 It is complete with its original 'stop' hinges which hold the lid upright. The interior has two long storage compartments. 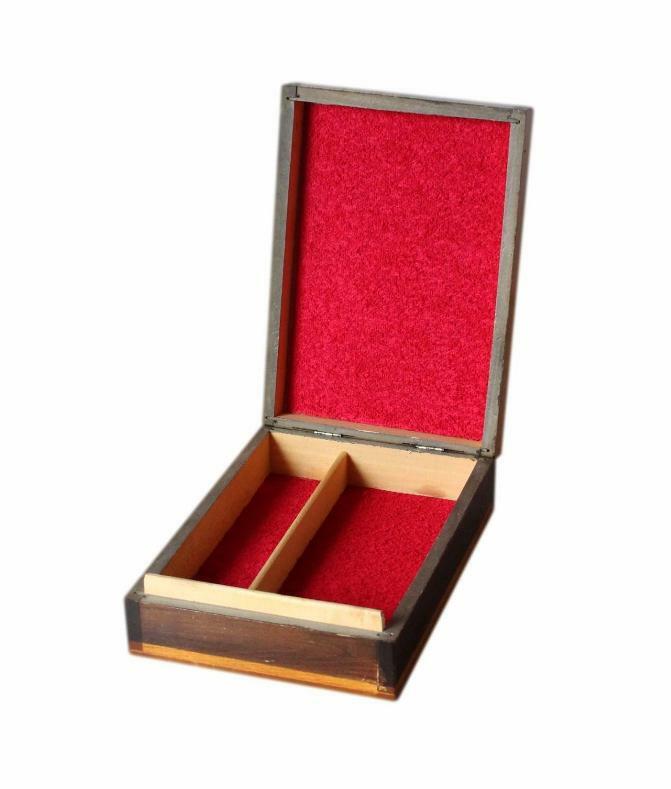 These and also the inside of the lid, have new cushioned red felt linings which compliment the colour of the Roses. This box is in good condition for its age. It is structurally sound. It is showing its age with some light surface scratches/light wear. The hinges are still in good working order. The interior felt linings, being new, are in excellent clean unworn condition. 17.6 by 7.7cm with a 2.8cm depth. 17.6 by 4.4cm with a 2.8cm depth.